Below is a quick reference guide about gel medium for you to print. However for an in depth understanding watch the video below. Medium is any type of supply that can be used in Art. 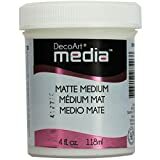 A group of those supplies are called Media and when combined together they create the art form commonly known as Mixed Media. 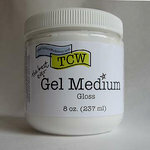 Gel Medium is an art supply that acts mainly as a glue but has many other uses and properties. It varies in viscosity and lustre and is made by many different brands. 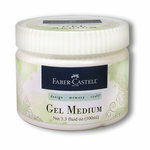 Each brand tends to name gel medium in a different manner, so it gets very confusing for beginners. Some brands call it medium, some call it fluid medium, matte medium or gel medium. The difference in the name has to do with the viscosity, lustre and transparency. However most of them have the same properties and uses. There are several brands of Gel medium that vary in lustre, transparency and viscosity. Some of the brands are: Finnabair by Prima Marketing, Golden, Liquitex, Blicks, DecoArt, Faber Castell, The Crafters Workshop and 13 Arts. There are so many more brands and most of them are great. You just have to try and experiment to find the ones you like. My favurite ones are Finnabair by Prima Marketing as they are the ones I’ve used the most. Gel Medium comes in different viscosities. It varies between Fluid medium all the way to Heavy gel with Soft and Regular gel right in between. Gel Medium differs in lustre from Matte to Glossy. Matte being the least shinny one of all to glossy being the most lustrous of all. Some companies also make a semi-gloss gel, super-matte gel and satin finishes. Most product companies mark their lustre right on the jar. However, if they are not marked, then generally the gel is glossy in lustre. There are several tips and techniques when using and applying gel medium. Some of the most common techniques are shown below in my video such as using gel as a glue, for coating, protecting, mixing, coloring and texturizing a substrate or an art project. 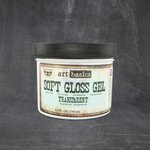 Most techniques are learned by experimentation and learning how gel medium interacts with other art mediums. How to Use Gel Medium? Gel Medium can be applied in many different ways depending on the project. Viscosity and lustre determine what each gel can be used for and what tool to use for each one. 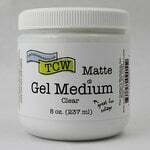 There are several essential tools you might need for gel medium. These are general tools for mixed media as well and can be seen in this video as well.. 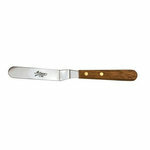 The most common tools are: brushes, palette knives, stencils, heat tool, craft mat, texturizing brushes, and silicone brushes. Golden – Pumice Gel – Coarse – 8 oz. 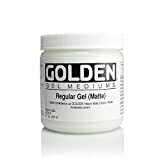 Golden – High Solid Gel – Gloss – 8 oz. Thank you so much for visiting my blog!have a wonderful day! I am a beginning mixed media artist. This is very helpful! Thank you!